I'm delighted to announce that my latest short story - A Most Devoted Son - has been featured in issue 65 of the rather excellent Blood Moon Rising Magazine. 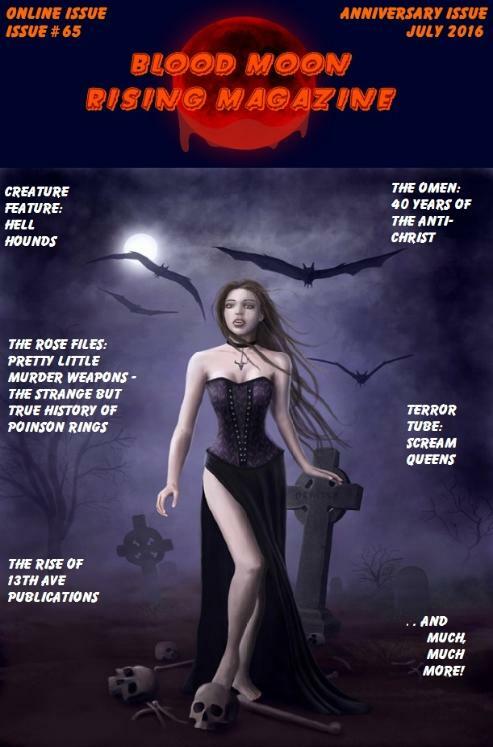 Blood Moon Rising is an exclusive online magazine that is now in it's 16th year of publishing. The site, due to it's immense popularity, is going through some big and exciting changes and now offers tips and advice for fellow aspiring writers. 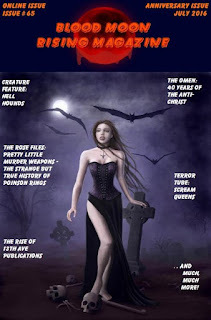 Blood Moon Rising Magazine is utterly devoted to all things horror especially short stories. They also feature beautiful gothic art, dark poetry and articles devoted to the horror genre. My short story - A Most Devoted Son - delves into the special unbreakable bond between a mother and a son. We all know there is nothing more fierce than a mother's love but what happens when i builds a bond that is utterly indestructible. them so much! I think that most of you, guys, like them too.